I enjoy learning new things and I’m always looking for ways to better my craft. From time to time I come across some great resources that are totally worth sharing (yay!). So, I thought that I’d start a new series, titled, Resources. Here you’ll find helpful resources covering many different areas to help aid in the success of your creative small business. 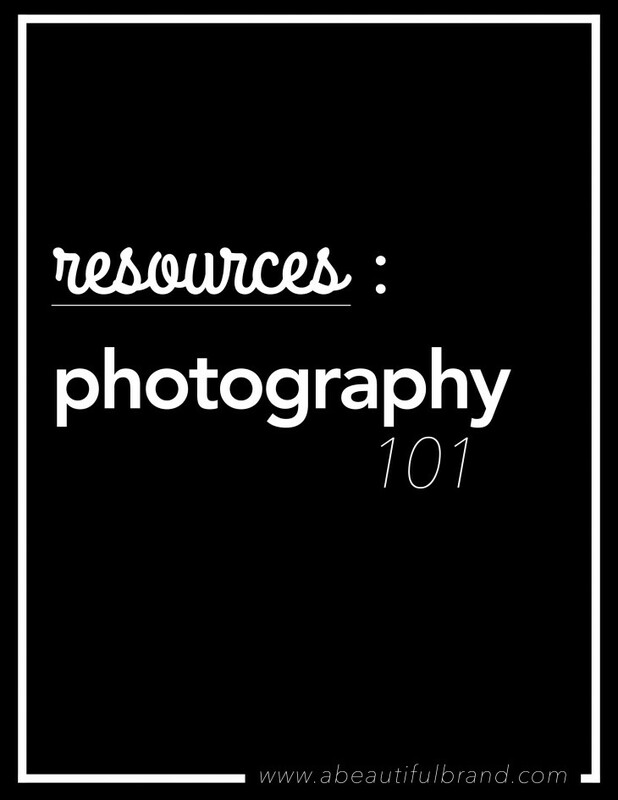 Today I thought that I’d start by sharing a great Photography 101 resource that I came across yesterday. Latrina, of Of Trees and Hues, is a California-based blogger and photographer. I found her Photography 101 series to be quite easy to follow and very informative. She does a great job at keeping it simple and to the point, which I love. I love taking photos with my Nikon (and iPhone), but know that there is always room for improvement. So, when I have time, I like to refresh my memory and skills. I have to admit, the numbers of ISO, Aperture and Shutter Speed can really get my brain in a twist. — Is it the opposite of what I think, or the other way around? I don’t know. — See why I have to take some mini refresher courses? I hope this series acts as a great resource in and of itself for you as I think that it will for me. I feel good to finally have a place to compile all of my resources for easy access, and you get to benefit from it, as well. Enjoy!